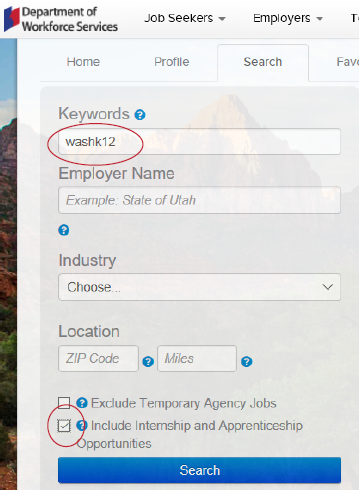 In the keywords section type washk12. Make sure to check the Internship Opportunities box. Now begin your search and apply for internships.